Watching a YouTube video has helped a Kuranui College pupil hop, step and jump less than two months later to a gold medal and break a Wellington secondary schools record. Jarrod Yee, 13, only took up the triple jump after watching an on-line video in January. 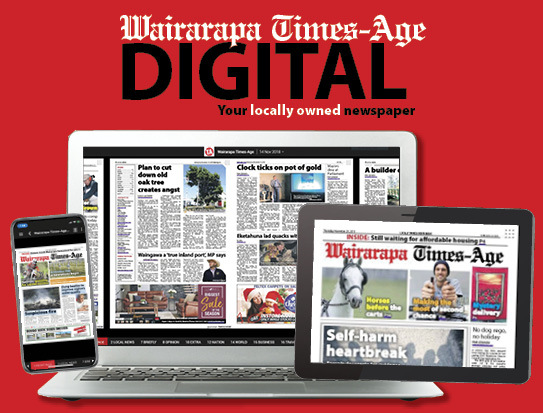 He then practised jumping into a discarded swimming pool filled with sand on the back lawn and after one training session with Wairarapa track and field coach Mark Harris, Yee leapt to first place and a new record of 12.01 metres in the junior boys’ triple jump at Newtown Park last Thursday. That came after setting new Kuranui College and Wairarapa secondary schools records. Yee made it a double at the championships, also winning the junior boys’ long jump with a jump of 5.33m. “I put a lot of time into it, by watching the video over and over and then trying to get my technique right,” Yee said. 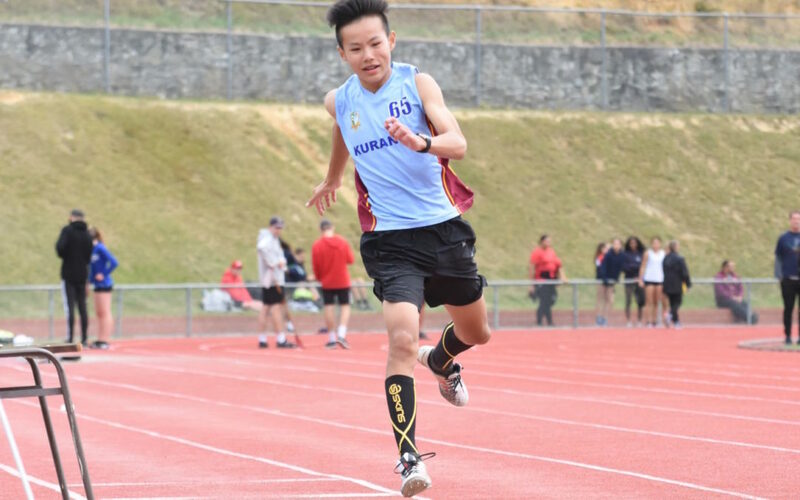 Yee is now targeting the North Island secondary school championships in Tauranga in early April to try and qualify for the national secondary school championships in December. Two of Wairarapa’s promising runners underlined their potential, winning gold medals in middle distance events. Wairarapa College pupil Liam Lamb had a very good championship, beating a strong field to win the senior boys’ 800m, in two minutes, 0.61 seconds. He backed that up with a second in the 400m. Rathkeale’s Kosta Mills was an impressive winner of the intermediate boys’ 800m in 2:01.40. Success for the girls came in the field events. Solway College pupil Michelle Bgoni won the senior girls’ high jump with a height of 1.43m. Isobel Ashwell, St Matthew’s, was first in the junior girls’ triple jump with a distance of 10.17m. St Matthews’ pupil Olivia Clark took out the intermediate girls’ javelin with a throw of 30.04m. Other gold medals were won in the athletes with disability [AWD] class. Jack Lewington, Kuranui College, was first in the long jump with a best leap of 3.70m. He also won a bronze medal in the 100m. Ben Taylor, Wairarapa College, threw 21.14m to win the boys’ discus, and was second in the javelin. There were another 10 minor place-getters. Wairarapa College finished second in the junior boys’ 4x100m relay, only 2.42 seconds behind St Patrick’s Town. Jack Hunter, Wairarapa College, ran second in the junior boys’ 3000m. Charlie Matthews, Rathkeale, was runner-up in the junior boys’ 800m. Lucciano Blundell, Wairarapa College, took second in the intermediate boys’ discus. Another Waicol pupil, Denny Lauvi, placed second in the senior boys’ javelin. 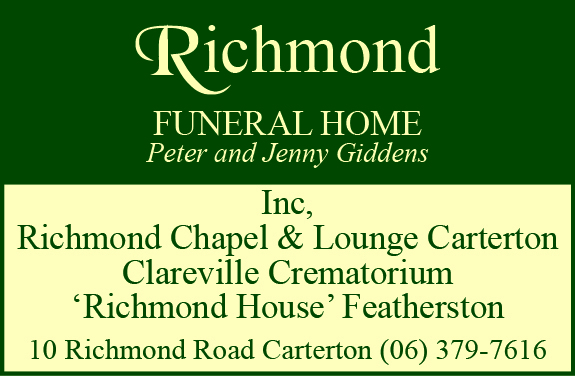 William Cole, Rathkeale, won a bronze medal in the junior boys’ high jump. Jayden Dormer, Wairarapa College, and Thomas Morland, Kuranui, were second and third respectively in the AWD boys’ shot put. Mia Bartlett, Wairarapa College, won a silver medal in the junior girls’ discus, and Abi Green, St Matthew’s, was third in the intermediate girls’ triple jump.